DNN Connect is all about connecting the community around the Open Source DNN Platform. 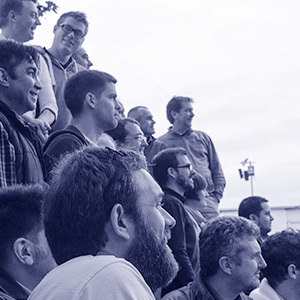 Since its inception in 2002, DNN Platform (or DotNetNuke as it used to be known) has drawn an ever increasing amount of web professionals into a lively community. At first mostly from the United States, now these DNNers come from all around the globe. DNN Connect finds its origins in a group of DNN friends in Europe who knew each other from their work in the DNN “Core Team” and from the global conferences around DNN. For the love of the platform and in order to advance the interests of non-English speaking community, these friends decided to meet up informally. These events have become a huge success, attracting fellow DNNers not just from every corner of Europe, but also from overseas. Hence DNN Connect was born. DNN Connect is an initiative by the DNN Community for the DNN Community. But its main overarching goal is to promote and stimulate the adoption of the most awesome web application framework there is: the DNN Platform. We are trying to achieve that by providing dnn-connect as a platform that gives community members a home where they are welcome. Where they are invited to contribute and given the respect that they deserve. The DNN-Connect Association, an international association, is a not for profit and democratic organization. It is founded on statutes that can be downloaded here. They lay out its goals, how it can generate money, and what should happen to that money if the association ceases to exist. The association is funded by donations, its members and its sponsors. The members have the ultimate say in affairs and mandate an (unpaid) executive committee to take charge of day-to-day affairs. Each year, members convene for a general assembly to exercise their rights. The association has been founded in Switzerland in February, 2014. And hence, it is governed by Swiss law. You can join and become a DNN-Connect member, today. You will be supporting the aforementioned goals of our association: grow the adoption of DNN, support the community and ensure continuity. Please contact us for sponsorship proposals.